» monthly japanese candy subscription - ⒿⓊⓁⓎ! i originally bought this nail polish set while it was not on sale, so i'm a little bummed out i didn't wait until it was, haha. but is seems to be a popular item on the bornpretty website, so it looks to be always in stock. bottle #1 doesn't smell like anything to me. bottle #2, however, does have that regular nail polish smell to it, but it's not strong at all. now, let talk about the color. omg this fabulous, exquisite color. it's literally a silver, chromatic finish. it's not quite glossy, though. it's a tad more on the matte side, and that's without the topcoat. 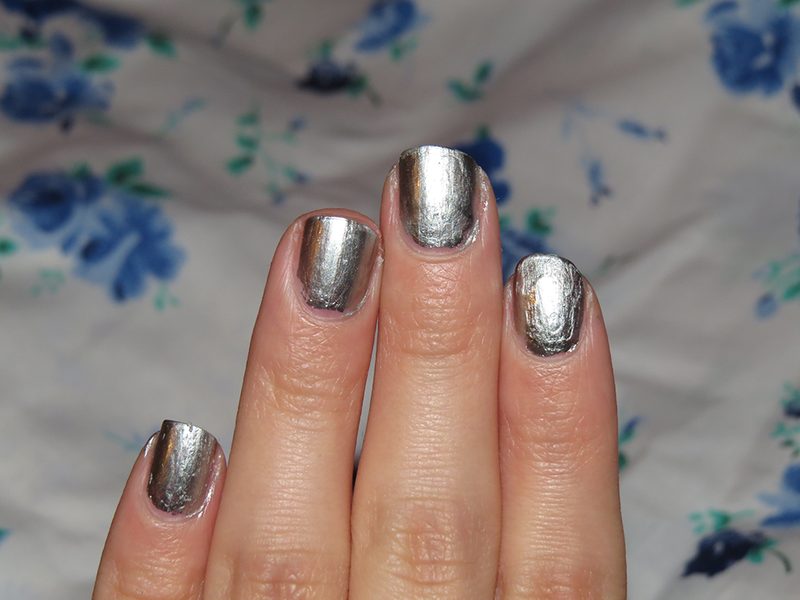 after you apply the top coat, it's glossy! while the bottles do look cool and shiny and mirror-like, there's not any particular logo on them or anything (at least, on the bottles that i got, but who knows about the newer bottles). 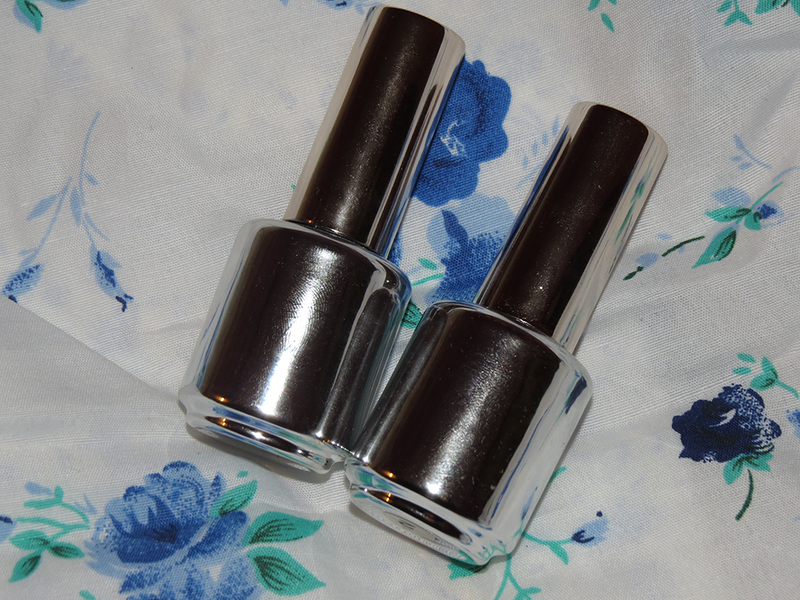 even so, that just makes this polish a little more mysterious and alluring, in my opinion. i quite like it. and even when the product runs out, the bottles will make a nice decoration piece. you're supposed apply a regular base coat of your own. 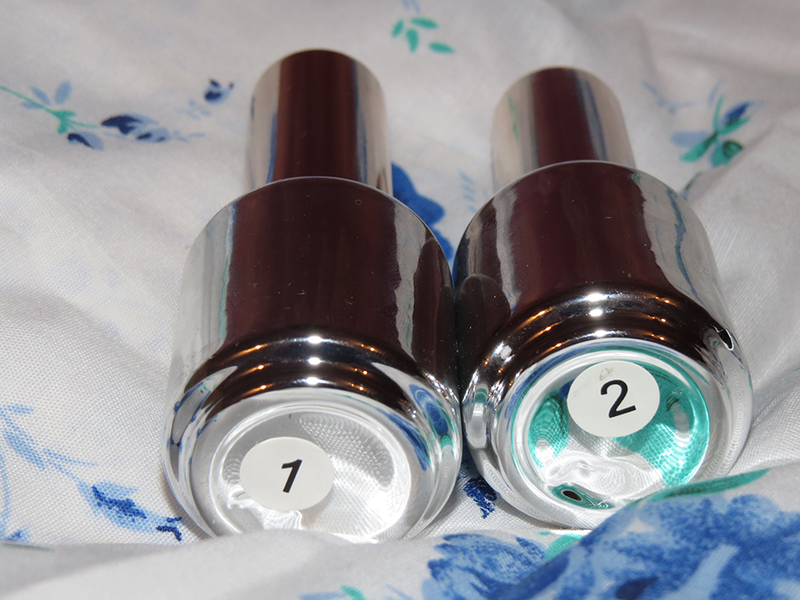 then you apply 1 layer of polish #2 (the color). by the way, this reaches maximum opacity in just one coat!!! but it doesn't seem to apply too evenly. 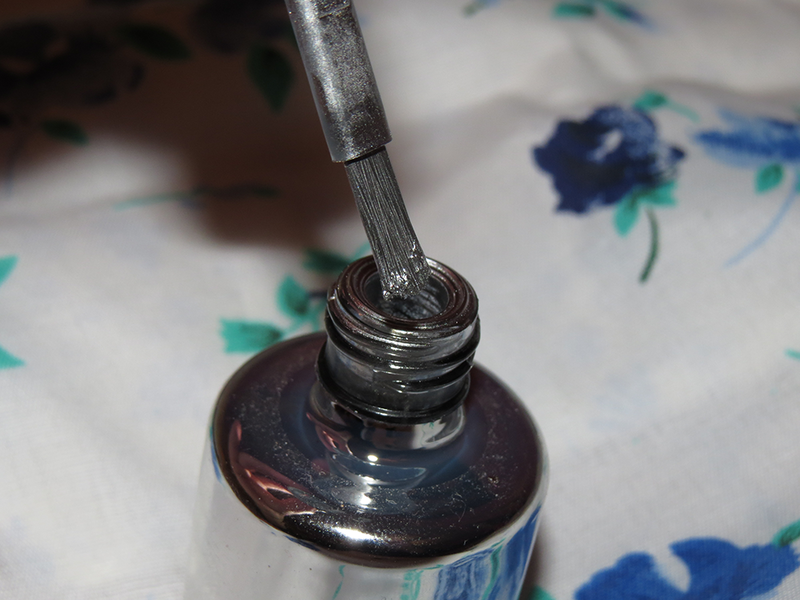 finally, you apply polish #1 (the clear) as your top coat. while the polish is absolutely beautiful, it does not last. mine lasted about a day before it started chipping. :/ it dries pretty fast, tho. everything about this polish is phenomenal, but it just doesn't last! you're better off using foil or nail stickers. i do have to say though, i kind of feel like a cyborg/robot/lady deathstrike with is an A+ for me.